The global Boeing 737 Max fleet has been grounded since March 13 in response to the crashes Ethiopian Airlines Flight ET302 and Lion Air Flight JT610. Boeing has suspended customer deliveries of the 737 Max but production continued at a pace of 42 aircraft a month. 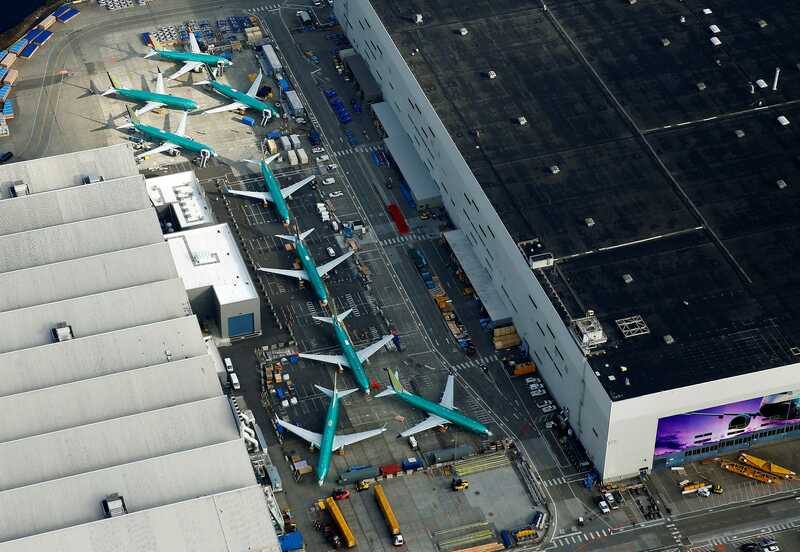 As a result, Boeing’s storage lots are packed with undelivered 737 Max aircraft. Along with the grounding, Boeing also suspended customer deliveries of the 737 Max. However, the company did not shut down the Renton, Washington factory where the 737 is assembled. Read more: Boeing’s problems are mounting and things are going to get worse before they get better. Before the March 10 crash in Ethiopia, Boeing has been producing the 737 at a rate of 52 aircraft a month with plans to ratchet production up to 57 planes by the end of the year. In fact, production continued unabated for nearly a month after the crash until Boeing announced plans to slash the rate from 52 planes a month to 42 planes a month. In response, Boeing is storing the undelivered in various locations around the Puget Sound, a company spokesman told Business Insider. Even with the production slowdown, the number of undelivered aircraft sitting in and around Boeing’s production facilities is beginning to swell. 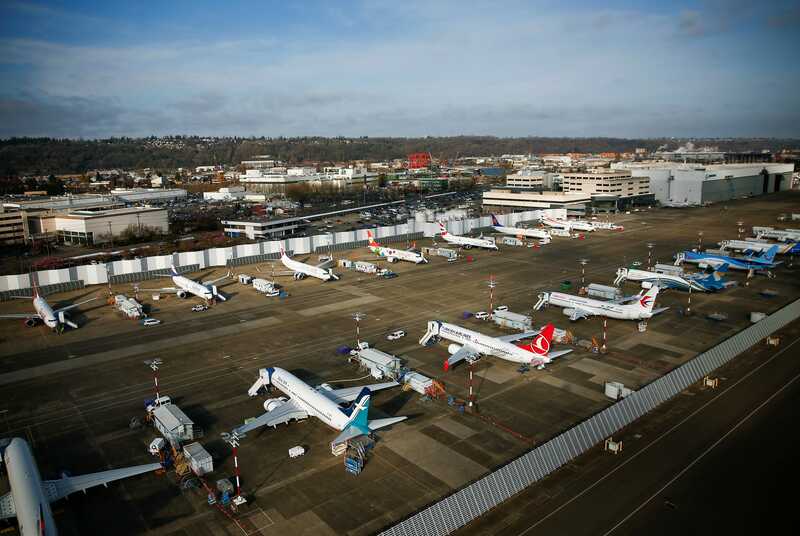 Currently, the planes are sitting in storage lots at the Renton factory; Paine Field next to Boeing’s Everett, Washington factory; and the company’s Seattle Delivery Center at Boeing Field. Looking at aerial shots of the theses facilities, space looks to be filling up. It’s unclear when the 737 Max will be able to resume service. American Airlines and Southwest Airlines have both pulled the plane from its schedule until mid-August while United has pulled the plane from flights through early July. Boeing is currently working on a software update to fix the 737 Max’s troubled flight control system. According to the Federal Aviation Administration (FAA), the agency is expecting Boeing’s final proposed fix in the coming weeks.